A police dog has broken his neck in two places after falling from a height while chasing suspected thieves. German Shepherd Nero, six, jumped over railings in Watford which, unknown to his handler, had a 12ft (3.5m) drop on the other side. The dog "landed badly", police said, breaking his neck in two places. 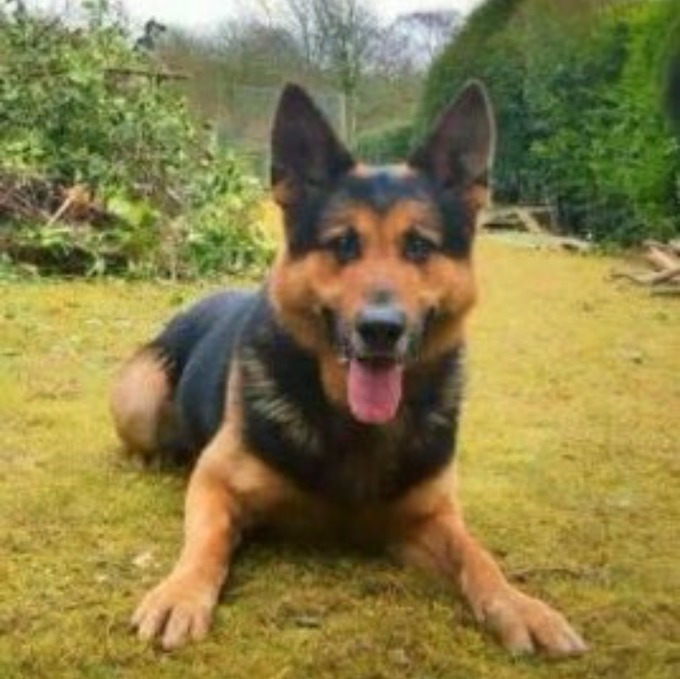 Officers said Nero, who was "injured doing what he loved, servicing his community and tracking down baddies", is receiving ongoing treatment at the moment and remains stable condition. He was with handler PC Clive Warncken of the Bedfordshire, Cambridgeshire and Hertfordshire dog unit, when the accident happened in the early hours of Thursday morning. A spokesman for the unit said: "Nero was immediately taken to a vet where it was discovered he had sustained two fractures to his neck."